Healthy, organic meals had been a trend recently." People are starting to look for the words “organic”, “no added preservatives”, “less oil”, “no trans-fat” and “fresh produce” from market labels. Why is this happening? Our lifestye now has made most of us restless and stress. We’ve resorted to everything fast now. Fastfood, quick exercise routines, even power naps! We somehow started to neglect the simple things that truly matter; like good sleep and food. Good friends are for happy time, and happy time makes you healthy. This is gonna be your source of strength and motivation. In a world surrounded by fast and easy options that are often unhealthy, you need a friend that will help set your eyes straight on the goal. This is also a buddy that you could cook healthy meals and other healthy stuff with! We know how you felt when you saw this. This may seem intimidating, and it sure isn’t easy to make but as Nike says on its tagline, “Just do it!”! There are so many temptations around and it could be hard to resist all of them most times. If you already have planned meals, you would never go hungry and end up being tempted to go to the easy and unhealthy options. The only battle that would be left is craving! You can beat that! Organize cooking sessions with friends or take the time to search for healthy alternatives on google. As much as you can, avoid eating outside and just splurge and give your all for making the best homemade meals there ever could be! With healthy meal plans come healthy cooking buddies! Cook lightly and avoid grease as much as you could! Oil and fat could clog arteries and cause complications later in life. Keeping a grill at home could be fun! Barbeque parties need not be a special occasion. Grill seafood, vegetables, and meat! Their equally tasty but much healthier! We know what you thought and we mentioned oil, grease, and grilling. What about fries and crispy, juicy, crispy-fried chicken? What would the world be like without them? Fret no more! There a way to go around this dilemma. Air-fryers are compact appliances that could help you in achieving that nice crisp to your favorite snacks –minus the oil and grease! If you haven’t tried this, you should totally consider getting one. If you don’t have one yet, an oven could be a good buddy in keeping a healthy lifestyle. Although baked recipes aren’t always made to be healthy, you can make up for that by searching for healthy alternative ingredients for baking. Also, everybody needs homemade pastries and other baked meals. Fresh produce and organics could sometimes be a luxury, but not when it’s just right at your backyard. If you have some space, you can grow vegetables in your garden. Zuchinis, lettuce, squash, and maybe carrots. Plant your favorites and make them accessible all the time! This isn’t just for food, gardening could also be a relaxing exercise. A heart rate monitor is a must-have buddy for effective exercise. There are many options in the market. It could be a watch, on your neck, or on your arms. Buy one so you can monitor your heart rate as you exercise. Make sure that your body takes enough effort to carry out an activity, but not too much to the point of over exertion. The ideal heart rate when exercising varies from person to person. Check online to compute for your ideal heart rate by putting in your age and weight. These seven are basically the best that you could own to start and keep a healthy lifestyle. To be order to keep from falling back to old habits, it is important to surround yourself with healthy options all the time." Although technology may be the primary cause of this world’s fast pace, it’s making up for it by coming up with ways to bring us back healthy and natural options. Being healthy is not merely the result of discipline, it is a lifestyle choice that we fight for every day. Good luck on your journey! Carpe diem! How are air fryers different from convection ovens? Convection ovens and air fryers had been one of our best friends in the kitchen. They revolutionize cooking by allowing more ways to cook outside the boundaries of pans and stoves. ​Convectional ovens and air fryers allow baking, roasting, and other types of cooking, all in just one device." 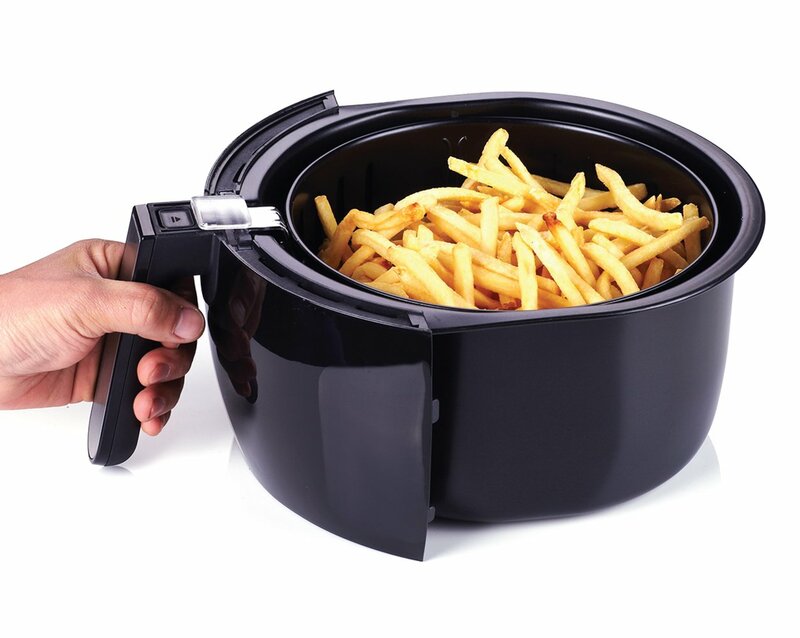 One of the best giveaways to differentiate a convection oven from an air fryer is its size and shape. Convection ovens are mostly bigger with a rectangular shape, while air fryers are more compact and rounded and would fit in any countertop. 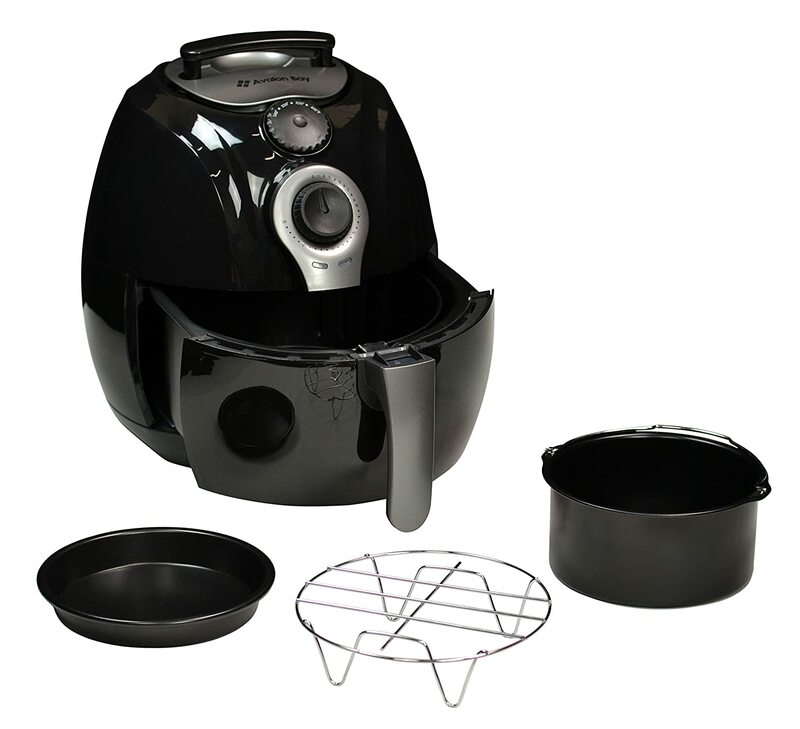 The convection oven would naturally allow the user to cook more food than the air fryer, because of of its size. 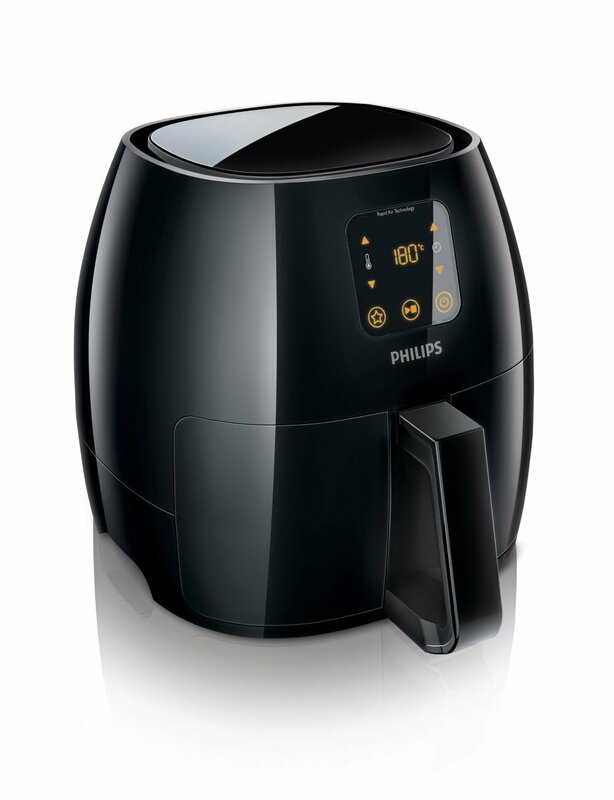 The air fryer also makes use of rapid air technology that would require adequate space. Thus, cooking by batch or in smaller amounts is how the air fryer works. The convection oven also has fans that give off hot air evenly throughout the oven’s interior. However, it doesn’t work with rapid air technology. Both devices allow baking and roasting, but the air fryer can do grilling better, while the convection oven offers toasting and broiling. Convention ovens usually produce less crispy but juicier food, but it also has a toasting function that could be used for bread. An air fryer on the other hand produces crispier and flavorful food that is stripped of much oil, which makes it a very healthy choice. An air fryer also takes less time to cook, but as already said, may require more batches if the amount of food to be cook is for a bigger group of people. One of the best things about an air fryer is it has a guard at the bottom that could catch the dripping oil without it touching the heating elements of the convection oven. Convection ovens don’t have it, which would require more time to keep it clean and well-maintained. This would usually depend on brands and models, but convection ovens are generally more expensive than air fryers. 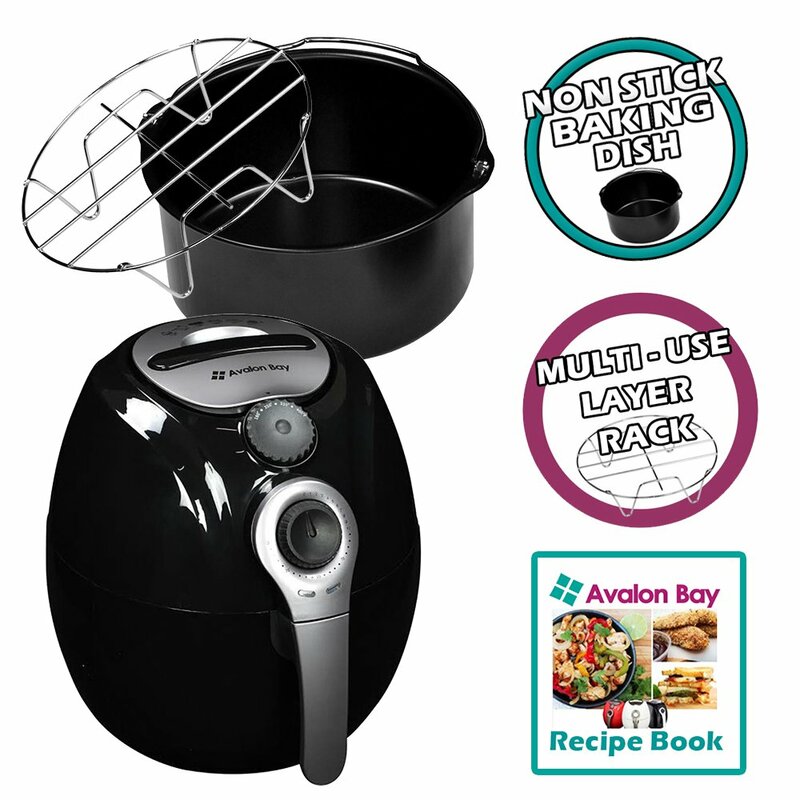 ​A good quality air fryer may have an equal price to a mid-range convection oven." Longevity would mostly depend not only on the brand, model, and materials used for the appliance but also on the owner’s care. Keeping the appliance clean would make it last longer. 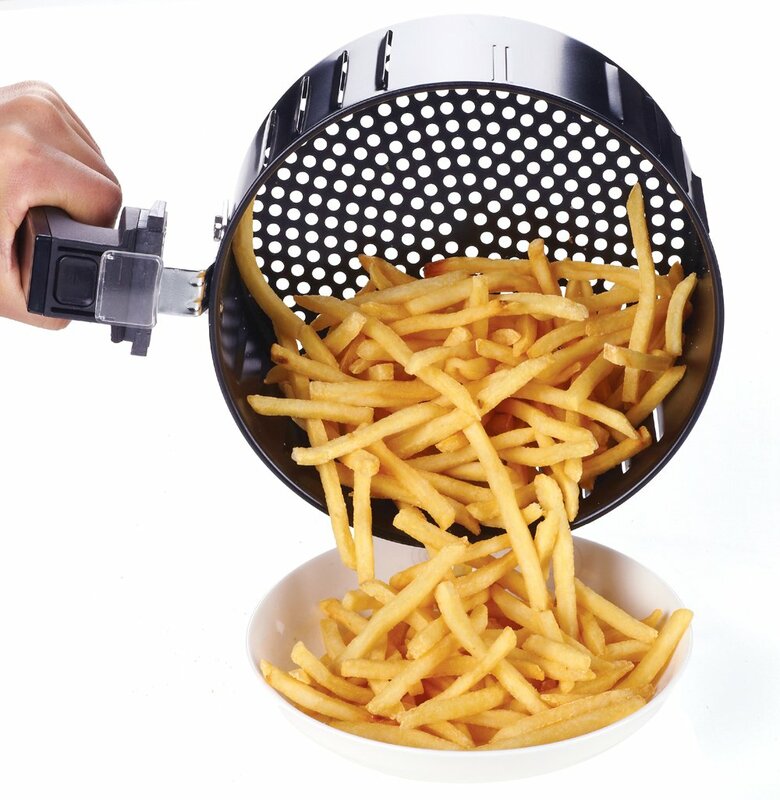 Since air fryers are easier to clean, it may last longer for most users who are not very keen on cleaning. Residues are never good for any appliance. Longer life and durability will be enhanced with keeping unnecessary moisture and food residues out of these kitchen appliances. In general, both have its pros and cons. Convection ovens does cooking in a different way compared to air fryers. Results also vary for each device. It would be important to keep in mind what kind of food you want to have specifically, before choosing a preference or deciding that you need both. An air-fryer is a conveniently designed device that is perfect for cooking various kinds of food the healthy way in the kitchen. Since this device is very convenient to use, it would be necessary to keep it at its best condition for the longest time possible. 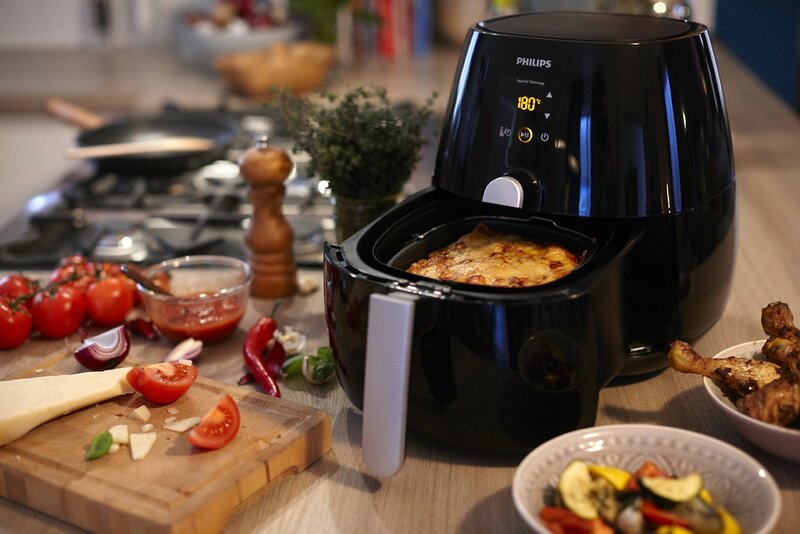 Having a handy and functional air-fryer anytime is a must-have once you’ve tried it. Because it’s relatively newer technology compared to other cooking devices in the kitchen, one may think that it’s high maintenance. However, the ease of taking care and keeping this device clean is mostly dependent on the user’s knowledge of how to do so. Here are 5 useful and no-sweat tips in keeping your air-fryer as good as new over a long period of time. First, protect the electrical parts. Like any other device that relies on electricity for power, keep the cable and plug from getting wet. Also, make sure to unplug the device when not in use. This way, you ensure that the device won’t be damaged or completely wrecked by any form of electrical failure or surge. Second, clean the parts after each use. Make sure to clean the basket and pan after each use. Don’t let food or ingredients that settled stay in the pan longer than it should. 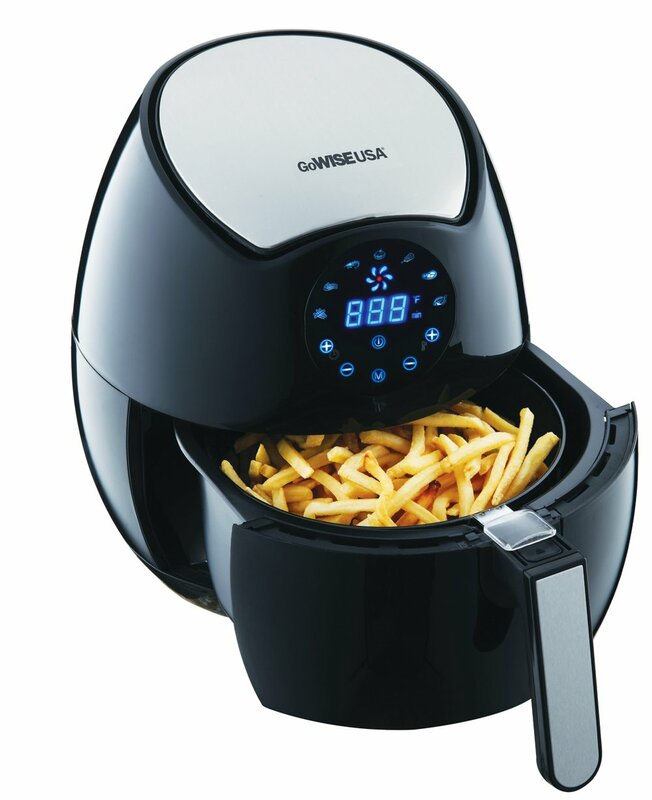 It’s designed to hold food, but if food stays on it for a long time, it becomes prone to bacteria and other microorganisms that may either damage or clog the air-fryer’s part, or simply, make cooking with it unsanitary. 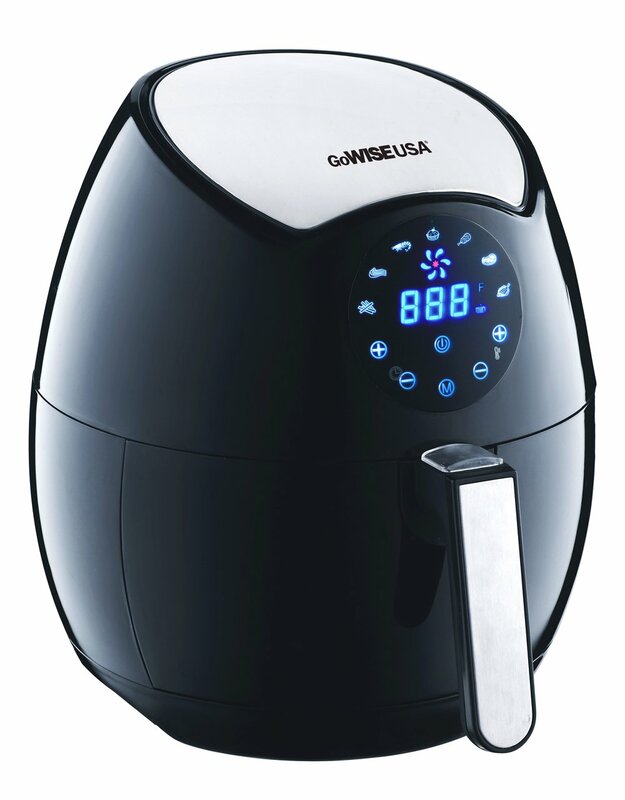 Cooking with an air-fryer is healthy, no one would like to ruin that with unsanitary habits. Check and double check the air-fryer’s parts for any stuck or clogging food residues and make sure to remove it as soon as you see it. Letting food residues stay for longer than it should is highly unsanitary and could damage the device too. To prevent having a hard time on looking for food residues after cooking, one can use baking paper or aluminum foil to cover the surface where food would be placed before cooking. This way, you only have to remove the aluminum foil or baking paper, and the air-fryer would be clean and residue-free. A moist sponge or cloth could be used to wipe away dirt or possibly a little amount of grease or stain outside your air-fryer. This way, you can keep its new-look no matter how often you use it. Because most likely, you will use it often once you start. Bad odor means that some residues that could not be seen may have left some traces on your air-fryer. Don’t let this stay there for long. Squeezing a lemon and letting it sit on the air-fryer for about 20-30mins will do the trick. Let it stay longer if after that, the smell still stays. You wouldn’t like your air-fryer to smell bad. Also, it might affect the smell of your next air-fryer dish. That’s it. Hopefully you can keep your air-fryer as good as new! Let’s see how long it will last with these tips in mind!